On most of our projects, we work at one room at a time for our clients. However, sometimes we get the opportunity to transform many spaces in a home at once, which is always a special treat. In this recent project, we provided cabinetry, flooring, and countertops for a design created by the incredibly talented Marika Klemm of Marika Designs. The new rooms convey a modern elegance that is gorgeous, but also comfortable and livable. Let’s take a closer look at the details of this amazing project. The main elements of this bathroom are very simple, but the luxurious touches make it stand out. 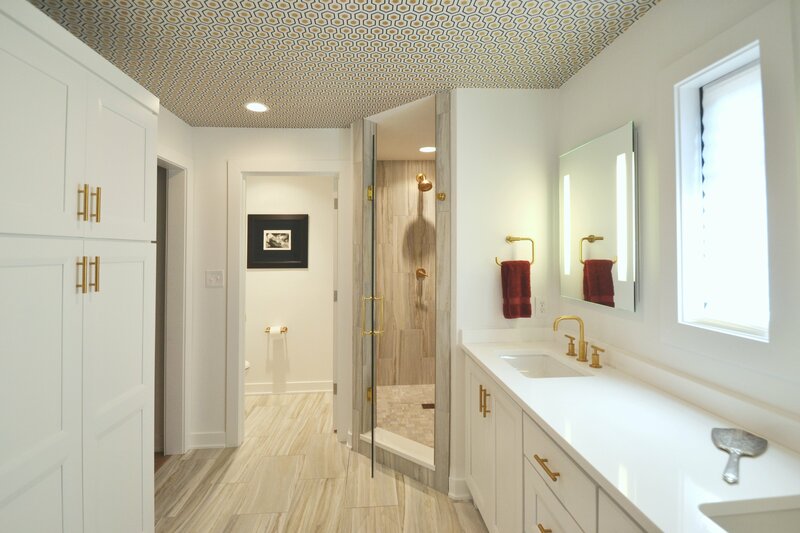 The white custom Amish cabinetry and quartz countertops are accented by gold fixtures, which also carry over into the shower. The true star of this space is the gorgeous patterned ceiling, which is a bold and unique design element that we love. The same simple luxury from the bathroom carries over into the kitchen. The modern lighting fixtures, stainless steel appliances keep the space feeling current. We added spacious center island that would be any cook’s dream. 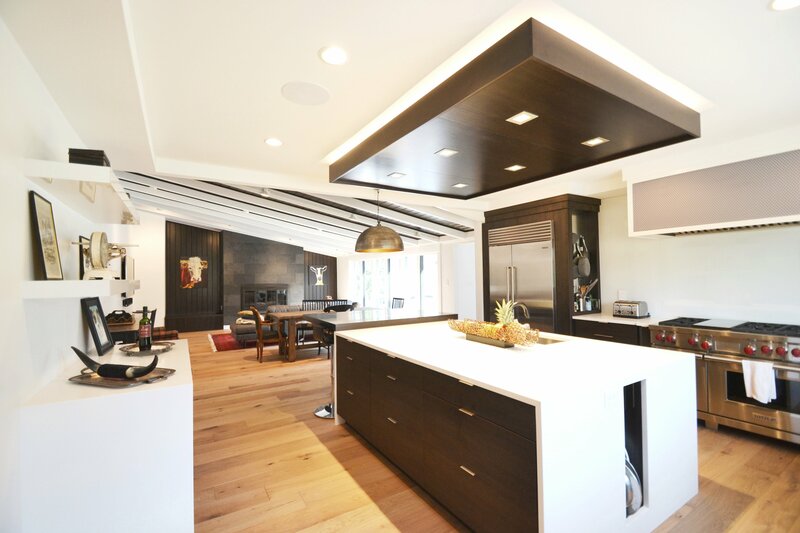 The sharp angles and contrasting colors give this Bellmont frameless kitchen a contemporary flavor, while the natural wood makes it feel warm and inviting. One of our favorite features of this remodel was the beautiful hardwood flooring, manufactured by Urban Floors, that we installed throughout much of the home. This flooring really added warmth and dimension, and kept these rooms from feeling cold or uninviting. Every detail in your remodeling project matters, right down to the type and color of floor you select. 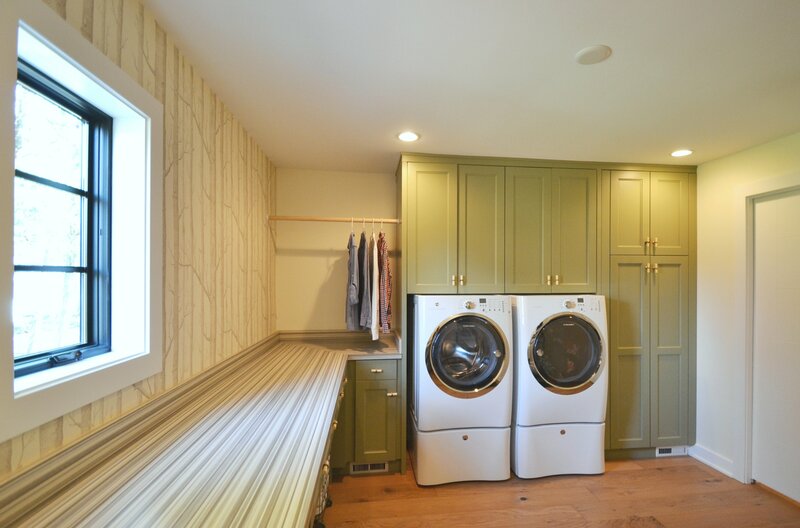 The laundry room is not an area that many people see, but that doesn’t mean it can’t be beautiful. We added lots of storage and maneuverability to this room, lovely Bellmont frameless sage cabinets and a long countertop space. It’s a room that a homeowner can enjoy spending time in, even when they’re sorting socks. 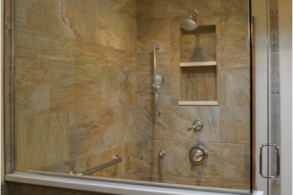 At ACo, our goal is to give you a home you can enjoy, whether we’re remodeling one room or several. If you’re looking for affordable luxury like this, follow our four steps to starting a project with us. We would love to give you a house that you love to come home to! Want to see more of our work? Check out our project gallery, or follow us on Instagram!